If you’re in need of a new garage door for your home in Humboldt, Tennessee, there’s no better company to turn to than 31-W Insulation. Since 1972, we have been providing homeowners throughout the southeastern United States with the home improvement services they need. We are proud to offer a wide selection of garage doors that we professionally install to give your home’s exterior the facelift it needs. 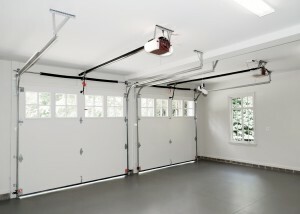 As the largest door of your house, the garage door is often one of the first things people notice. That’s why we offer garage doors made by the trusted manufacturer Amarr®, which gives you many different customization options. Whether you want a carriage house door in a warm wood finish or a low-maintenance steel door in a two-tone color scheme, we can provide you with the options you need. You’ll be able to further customize your garage door by selecting the exact panel size, window style, and decorative hardware you’d like. With one of Amarr’s garage doors customized to match your home’s architecture and suit your taste, you’ll be able to enhance the curb appeal of your home in Humboldt, TN, and truly make it stand out. To get started customizing a high-quality garage door for your home in Humboldt, TN, contact 31-W Insulation today.